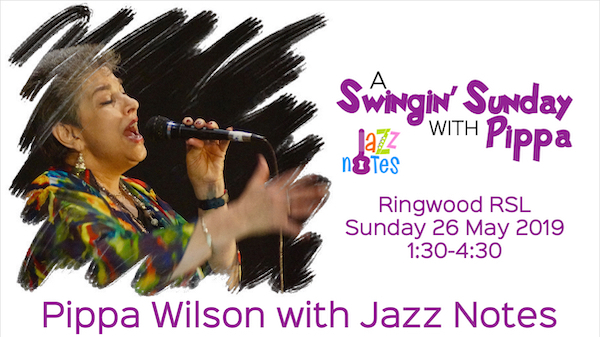 Come along and enjoy a relaxed, Swinging Sunday afternoon of live music with the fabulous Pippa Wilson on Sunday 26 May 2019, 1:30-4:30pm at Ringwood RSL, 16 Station St, Ringwood 3134. 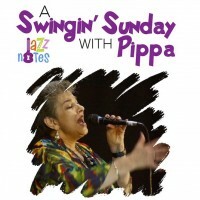 We have put together some great sets with many of Pippa’s favourites, a lot of them requested by her many fans, so it will be a Sunday to remember. And you might see some of Pippa’s friends joining us on stage, so it will be certainly an afternoon to remember. There will be tables to sit at, but for this event there is no allocated seating. So, make sure you arrive by 1:30 to get your preferred seating. Light meals are available in the room and the bar will be open. You can also book a table in the bistro for a more extensive menu. Bring your friends, support live jazz and have a great afternoon. If you are a Jazz Notes subscriber, you should have received your special promo code for discounted tickets – only until 30th April. If you haven’t received that, please contact us.